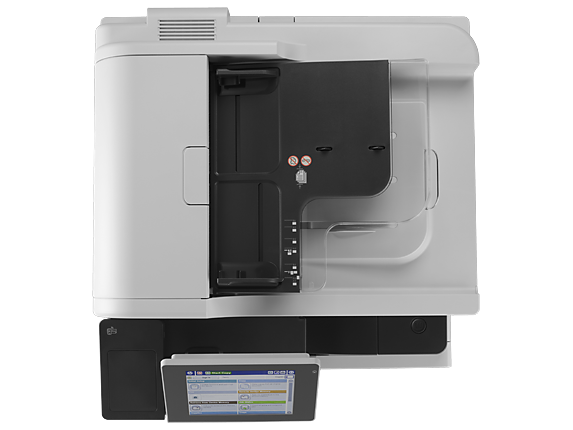 Producing top-quality documents up to A3—print, copy, scan, and fax using a reliable MFP with robust manageability and security features. 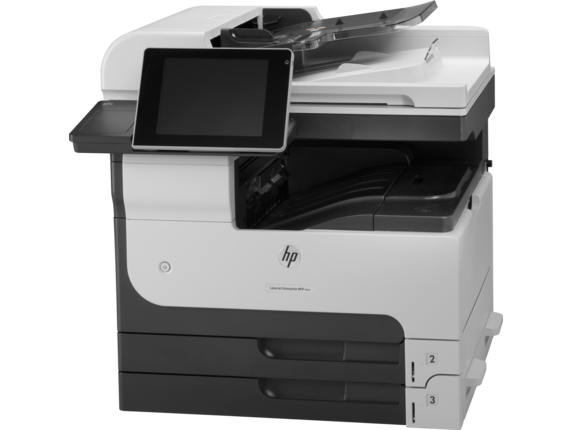 Fax capabilities are available with an optional fax card on the HP LaserJet Enterprise MFP M725dn. Maximum paper capacity of 4,600 sheets requires the purchase of optional paper tray accessories. Requires an Internet connection to HP web-enabled printer and HP ePrint account registration (for a list of eligible printers, supported documents and image types and other HP ePrint details, see www.hpconnected.com). Mobile devices require Internet connection and email capability. May require wireless access point. Separately purchased data plans or usage fees may apply. Print times and connection speeds may vary. 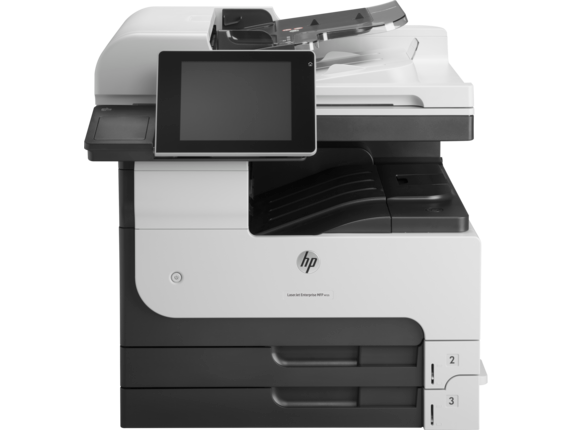 Some HP LaserJet printers may require firmware upgrades. 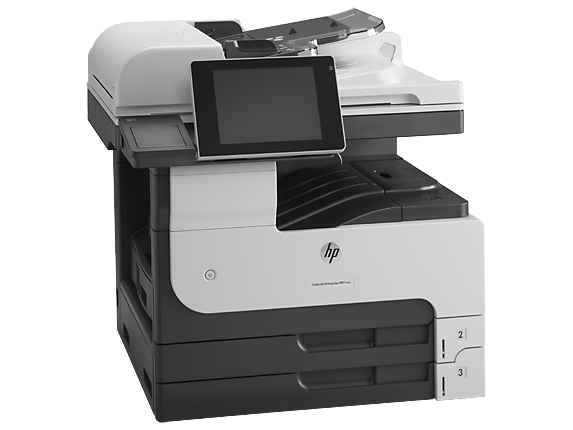 High-capacity cartridges are optional for the HP LaserJet Enterprise 700 MFP Series M725. 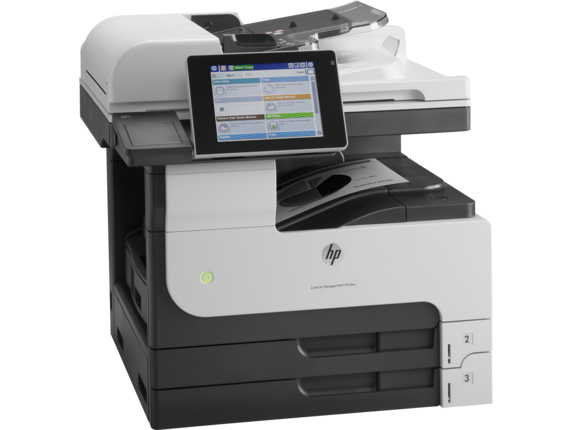 In-line staper is not available on the HP LaserJet Enterprise MFP M725dn or M725f. Supports the following devices running iOS 4.2 or later: iPad®, iPad® 2, iPhone® (3GS or later), iPod touch® (3rd generation or later). Works with HP's AirPrint-enabled printers and requires the printer be connected to the same network as your iOS device. Wireless performance is dependent upon physical environment and distance from the access point. AirPrint, the AirPrint Logo, iPad, iPhone, and iPod touch are trademarks of Apple® Inc., registered in the U.S. and other countries. [eco01]Compared with products that use traditional fusing.